Make a 100% salt solution by dissolving salt, one tablespoon at a time, in hot water (not boiling, just hot from the tap) until the salt will no longer dissolve. It is not necessary to let the water cool before proceeding to the next step. The temperature does not matter. I use Canning & Pickling Salt because it has no additives. 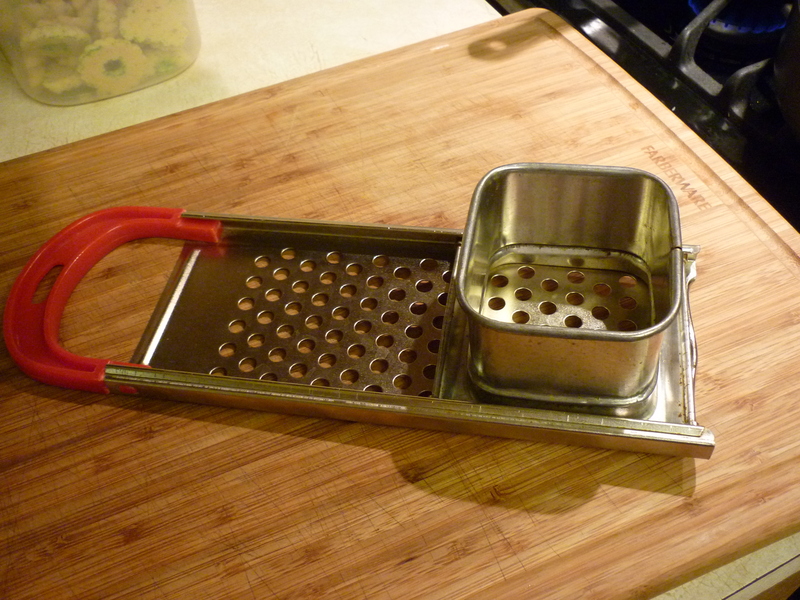 This is a Spaetzle Maker. Use only the grated part, not the cup, to remove the eggs from the membrane. Search “spaetzle” on this site for the recipe to make Spaetzle. You can buy a Spaetzle Maker at a housewares store. 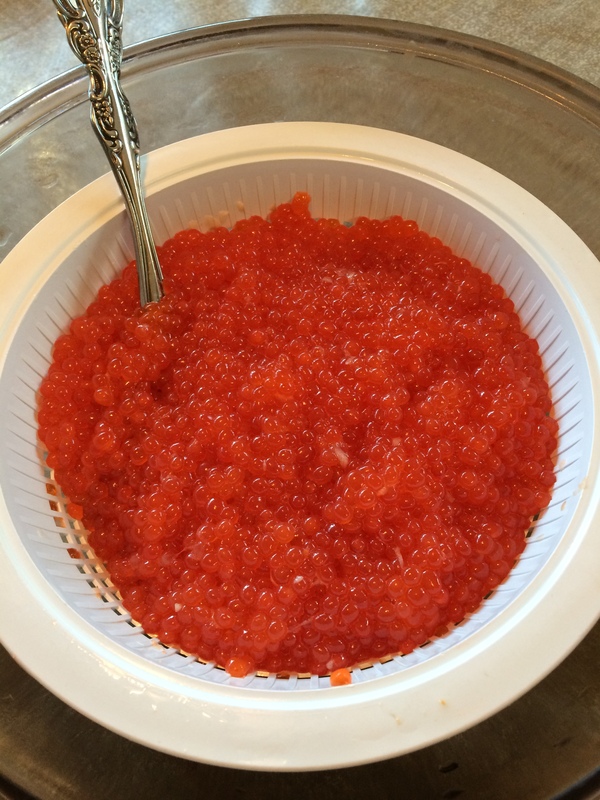 We used Alaska red “sockeye” salmon roe. 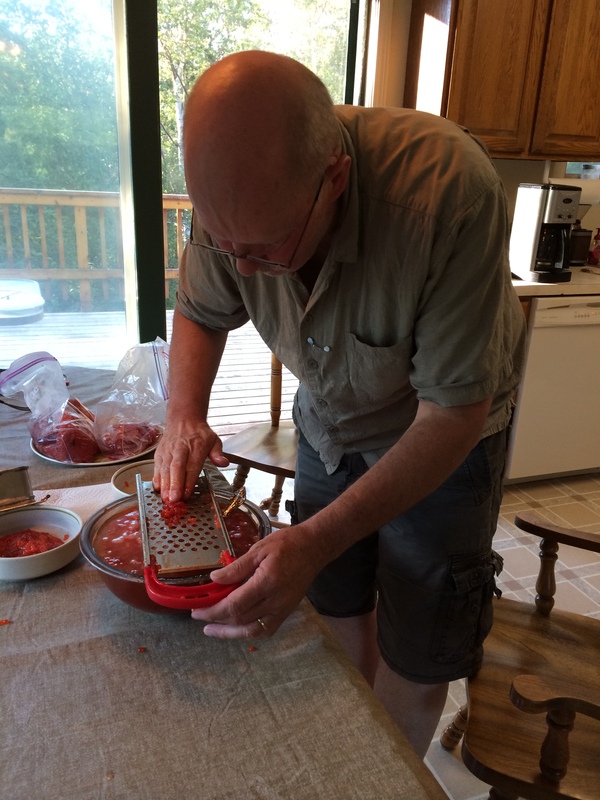 Using the grated part of a Spaetzle Maker over a bowl, rub a skein of fresh (only fresh will do) salmon roe across the grate, dislodging the eggs from the membrane. Discard the membrane. Once you have as many loose eggs as you want, soak them in the salt solution for thirteen minutes while stirring. When we were making this for the first time we dislodged the eggs right into the bowl of salt solution (as pictured), but then our timing was off. Next time we will dislodge the eggs into an empty bowl and THEN when we have enough we’ll put it all into the salt solution at the same time and start the timer. Strain the eggs out of the salt solution into a colander and run under cold water until it doesn’t taste too salty for you. We discarded our salt solution and filled that bowl with fresh water and let the salty roe sit in it for about 30 seconds, too. 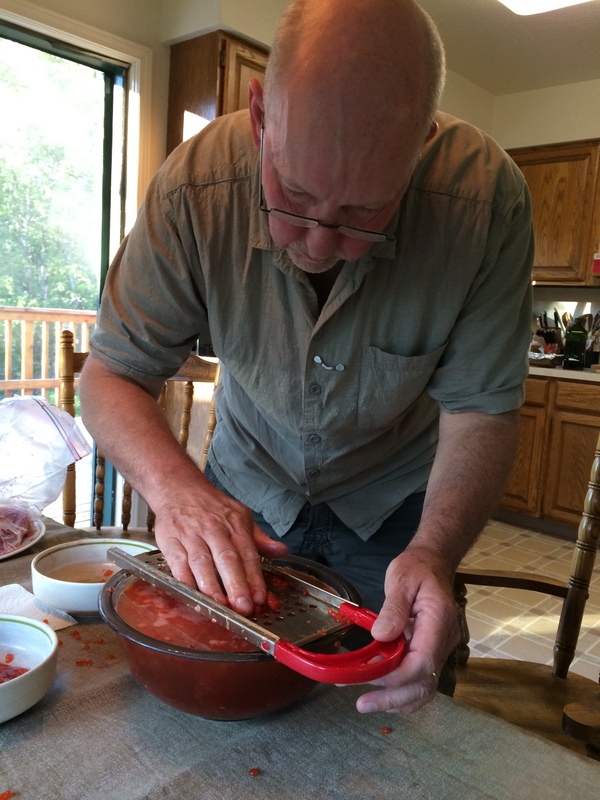 We grabbed a pinch of the roe and tasted it. It was good, so we stopped pouring fresh water on it. Let it continue to strain for awhile, but you can eat it right away. Tastes great with crackers and cream cheese. 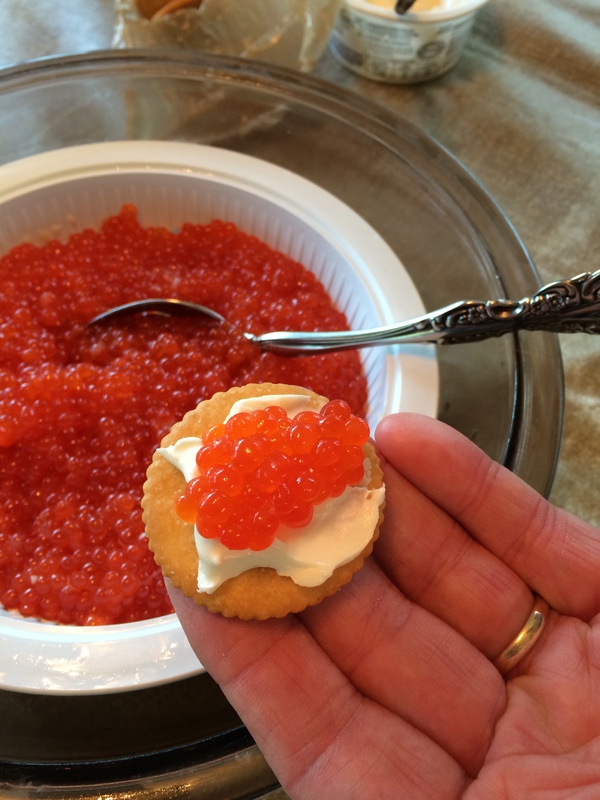 You can add flavorings like garlic or dill to the roe if you want to. In the refrigerator it will last for a few days. Once it had strained for an hour or so, I scooped it into small jars (previously used for pimientos, but baby food jars would work) and put them into the refrigerator. The next day it tasted even better! 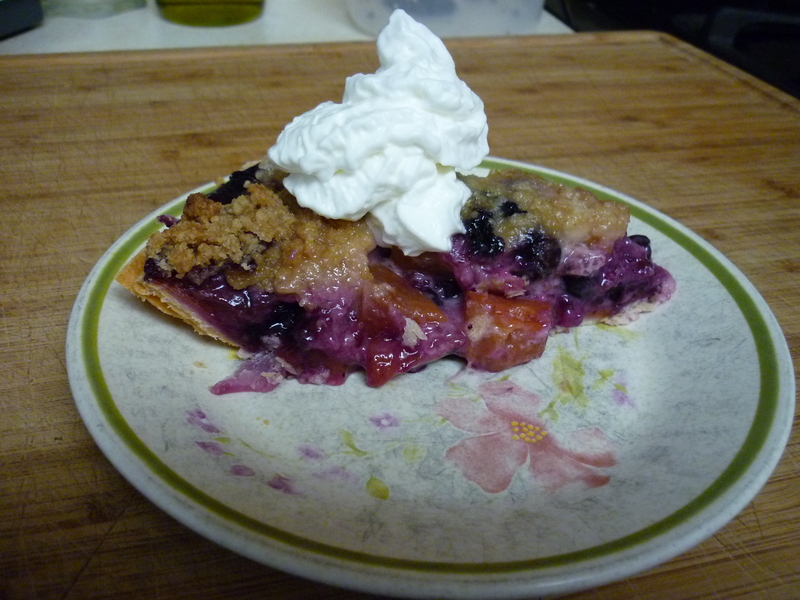 This is a tasty fruit pie with a streusel topping, instead of a top crust. I left the peel on the nectarines before giving them a rough chop. For the topping, I used room-temperature butter and mixed it well, but I think if you used cold butter you could cut it into the flour/sugar mixture instead and it would be fine. In a very large bowl, mix together sour cream and cornstarch. Stir in vanilla. 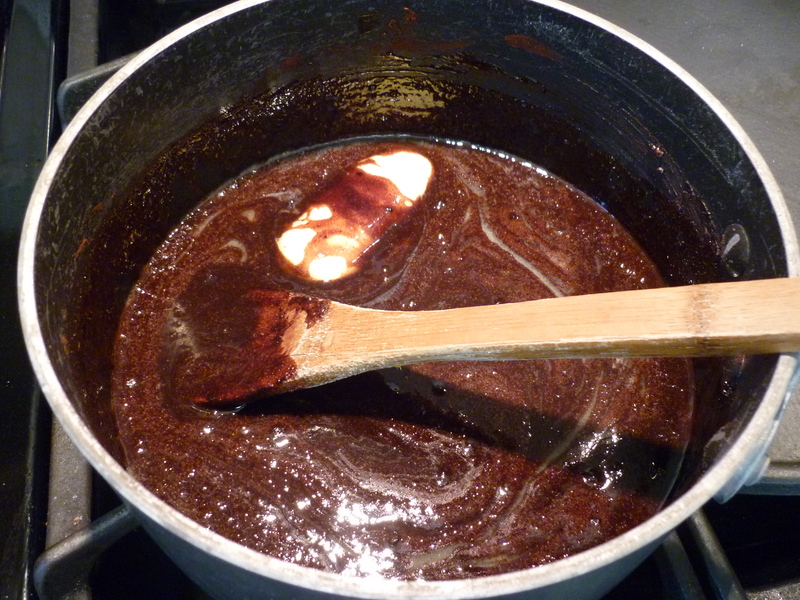 Stir in sugar and tapioca. Set aside. Chop nectarines. Add nectarines and blueberries to sour cream mixture. Let stand. In a small bowl, combine brown sugar, flour, and butter. Place pastry into pie pan and pour in the fruit mixture. Sprinkle brown sugar mixture over the top. 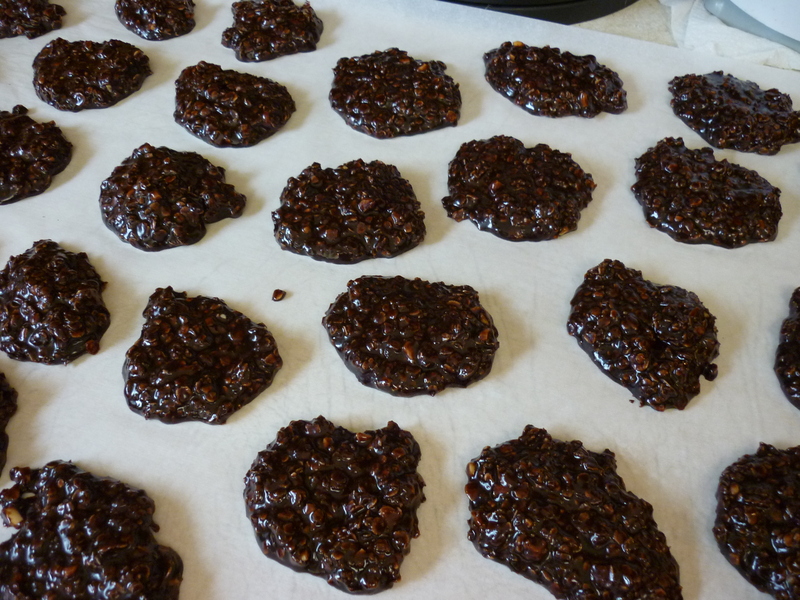 Bake in preheated 375 degree oven for 45-55 minutes, until it bubbles and the top is a golden brown color. Watch for spillover. Let cool and enjoy! 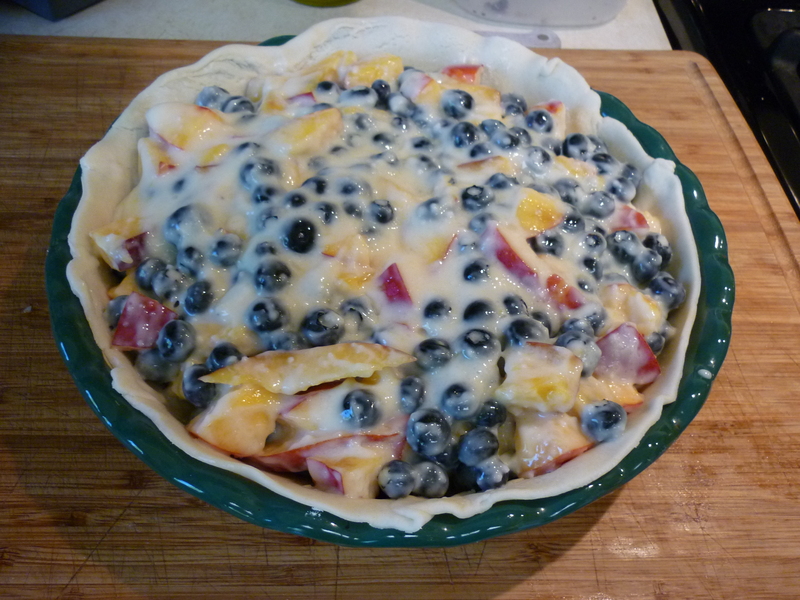 Fruit mixture goes into the crust. 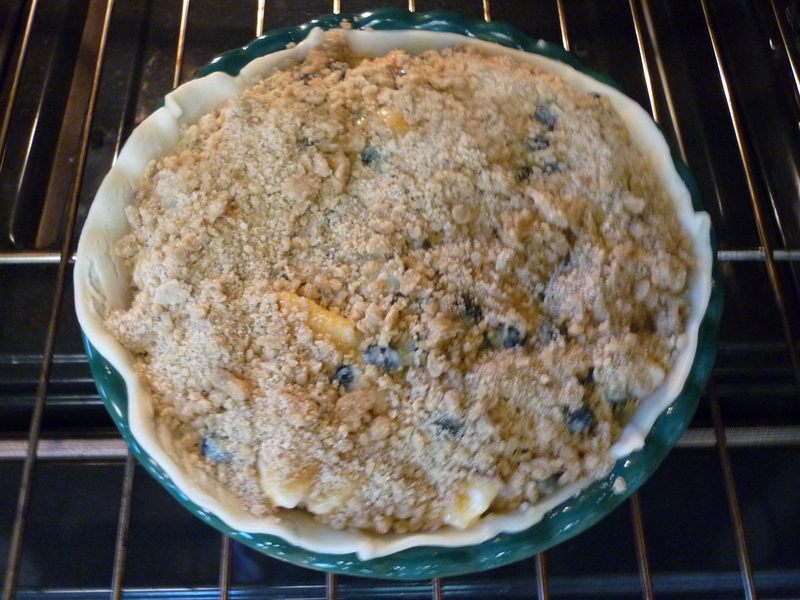 Sprinkle streusel topping over it and place into the oven. 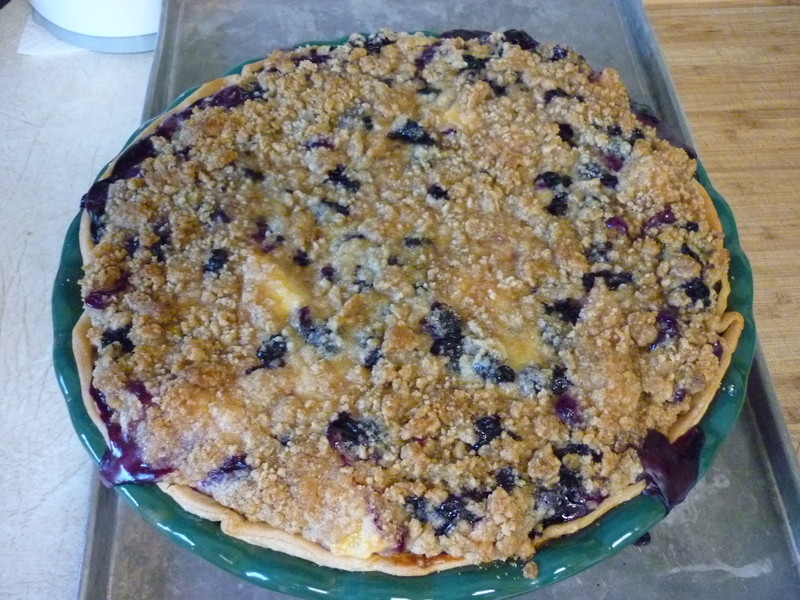 When the fruit bubbles and the streusel is golden, remove from oven. 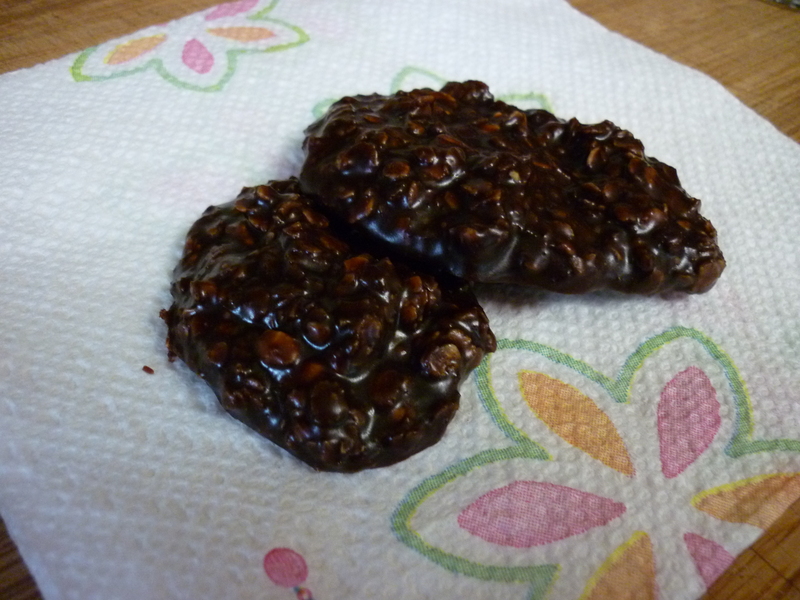 I was craving something chocolate the other day and remembered these quick-to-fix cookies from my childhood. Drop by spoonfuls onto wax or parchment paper. Let set until firm. Eat! This recipe is based on one found in Better Homes and Gardens’ New Junior Cookbook (1989 by Meredith Corp, Des Moines, IA). 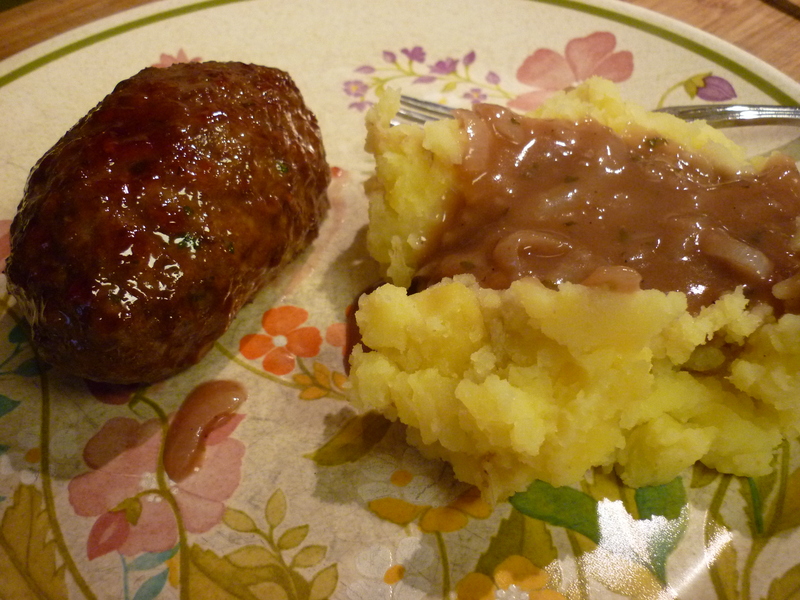 The original recipe calls for ground turkey which is something I seldom have on-hand, but maybe you do. In a mixing bowl beat 1 egg. 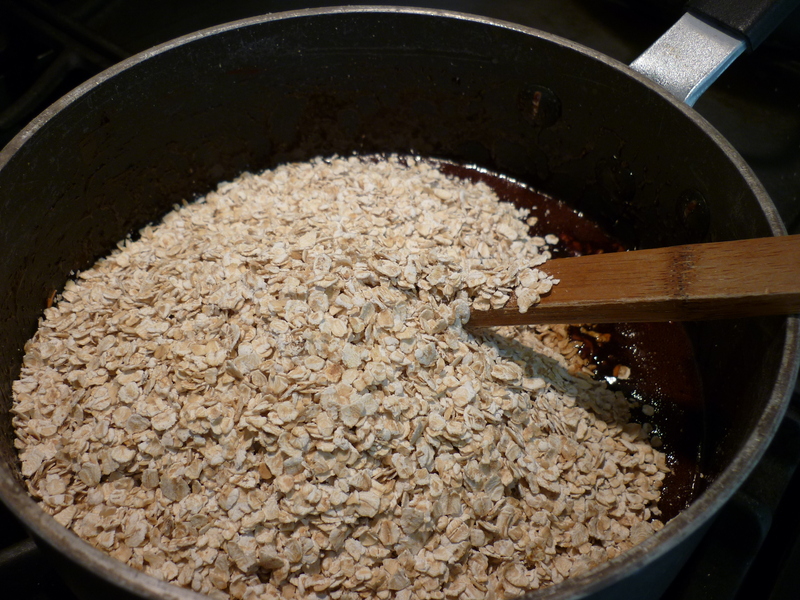 Add ¼ cup dried bread crumbs, 2 Tbsp. milk, 1 Tbsp. dried minced onion, 2 tsp. dried parsley flakes, ¼ tsp. salt, ¼ tsp. dried majoram, and a dash of pepper. Mix in 1 lb. 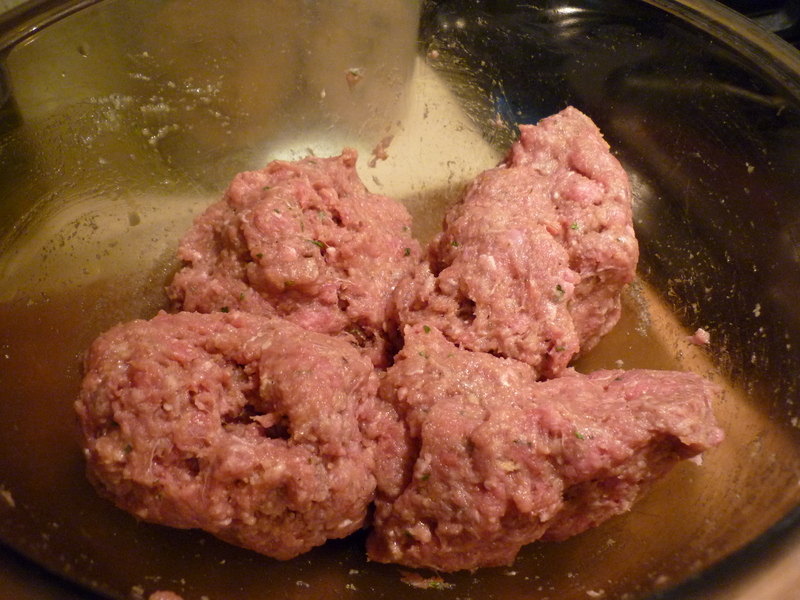 lean ground beef (or ground turkey) with your hands and divide into four parts. 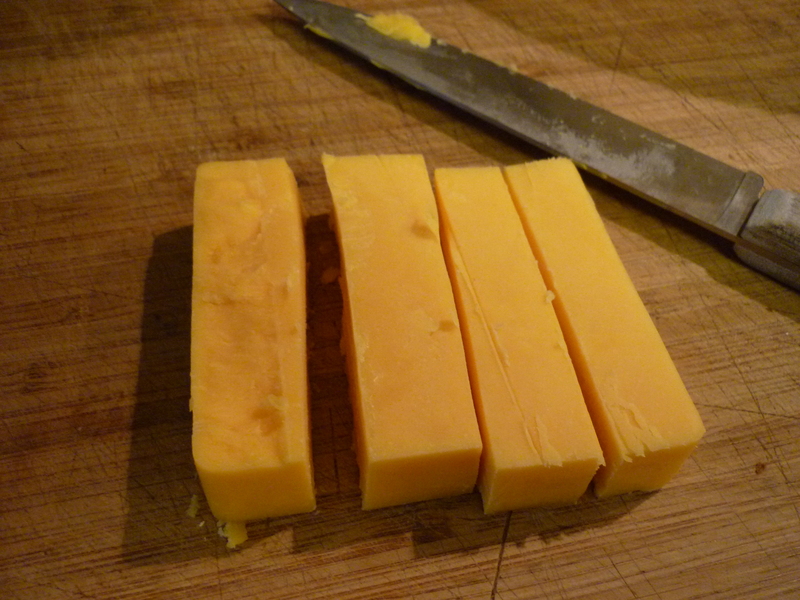 Cut a 4 x 2 x 2” block of cheese (any kind will do, I would imagine) into 4” long rectangles (I used sharp cheddar this time, but string cheese – mozzarella – is great). 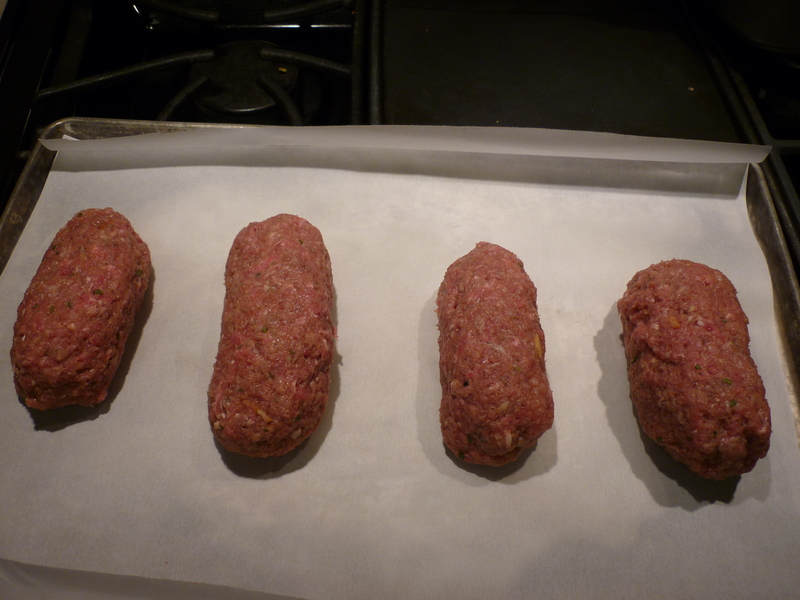 Cover each rectangle of cheese with a section of hamburger, molding into a small loaf. 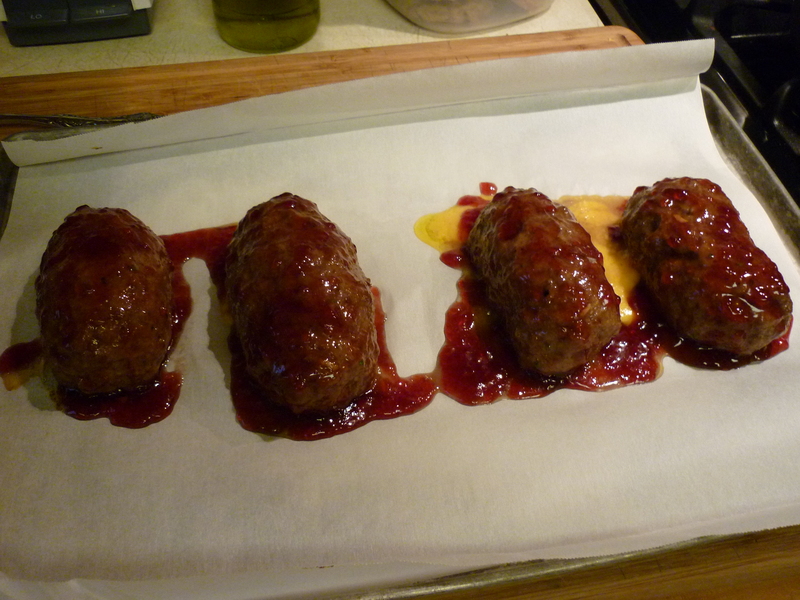 Put the loaves onto a parchment paper-covered baking sheet. Bake at 350 degrees for 25 minutes. 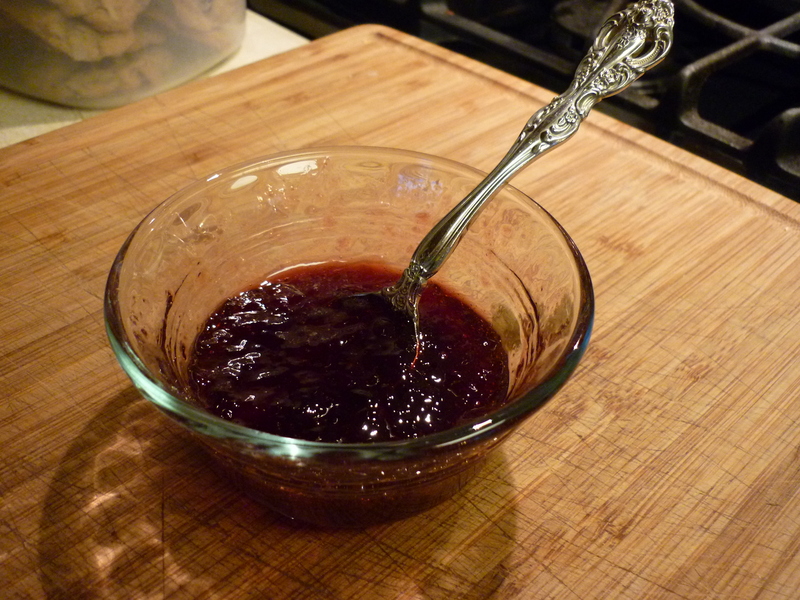 With a small spoon, spoon barbecue sauce, ketchup, or jelly over the top of each loaf. 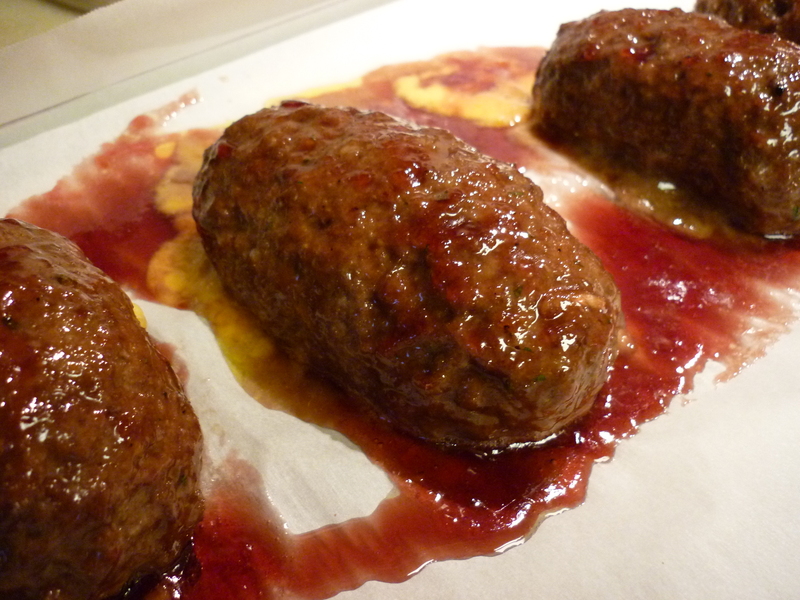 I used jalapeno jelly.